ECUIPT has designed and built a new pocket multitool and torch combination which provides a powerful LED light and a detachable multi-tool clip with socket. Watch the demonstration video below to learn more about the multitool designed by a team based in Australia. The KLiPT multitool is now available to back fire Kickstarter with earlybird pledges available from £11 or AU$19. If all goes well worldwide shipping is expected to take place during November 2018. 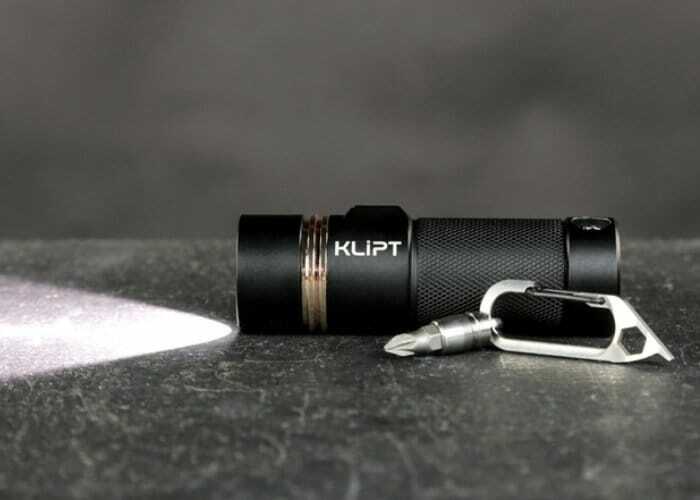 One single charge of the KLiPT torch is capable of providing up to 29 days of runtime and the titanium multitool clip features a number of useful tools for those unexpected inconveniences. More details and a full list of all available pledges jump over to the Kickstarter crowdfunding campaign page by following the link below.